A Chinese colleague of mine once claimed that Maoism (a form of communism) is better implemented in the Netherlands than China. I don’t know enough about Maoism to be able to argue for or against this, but sometimes the Dutch system of capitalism is very anti-capitalistic. Take, for instance, a practice known as “koopzondagen”. These are Sundays on which shops open for business. Until recently I just thought shops chose to be closed on Sundays, except for the koopzondagen. In Amsterdam this appears to be the case. But it is not so in the rest of the country. Local governments (or municipalities – I am not sure which) have the power to regulate whether shops can open on Sundays or not. Thus it is that in Tilburg there have been shops opening on Sundays despite this not being allowed (after some debate it has been decided to allow them to open). I could hardly believe it when I heard this. Why would you not allow shops to open on Sundays? If you are of certain (dogmatic) religious bent you could argue that it respects the Sabbath. But Dutch people are not. Perhaps it is a legacy of the Dutch religious past that they have not done away with yet. A country that values the freedoms of its people and its economy (as the Dutch do) cannot allow such a nonsensical system to continue. There are many consumers that would like to shop on Sundays, many shops that would like the freedom to open on Sundays and many people willing to work on Sundays. Everybody benefits. Many shops may choose to stay closed on Sundays and this is fine. But it should be their choice. 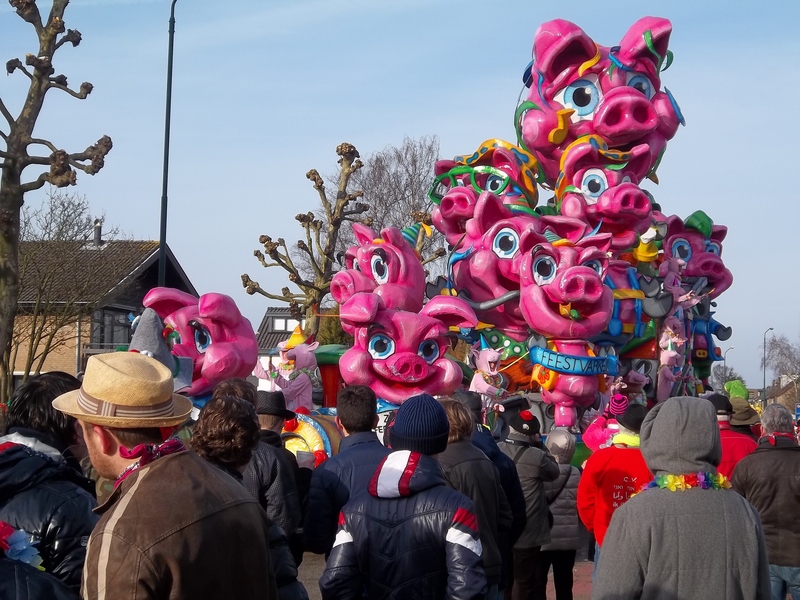 I attended “Carnaval” this weekend, which is basically a huge party in February, celebrated in the South of the Netherlands. The South of the Netherlands is (of course) historically Catholic. 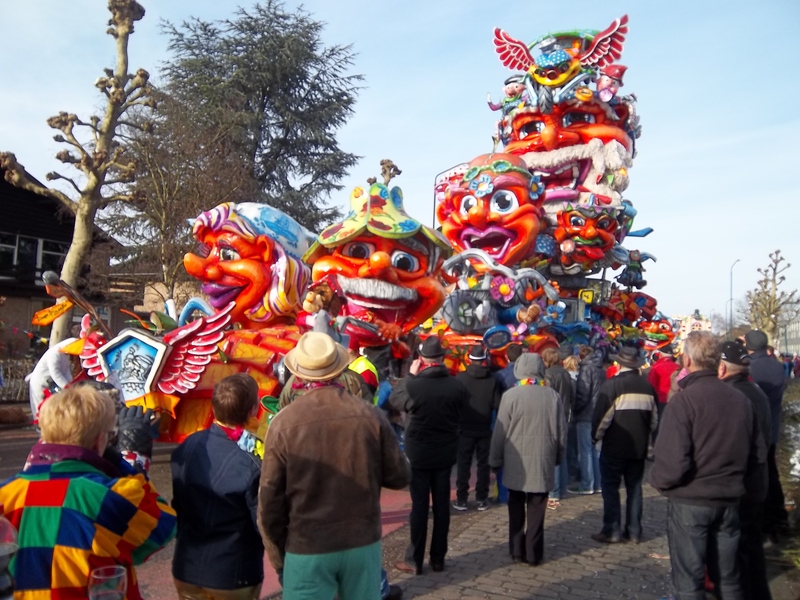 Carnaval is meant to be a big party before the fasting of Lent (like Shrove Tuesday, I suppose). Of course in the Netherlands (almost) no one is religious so it is basically just a big excuse to party. It is, however, a singular party. People dress up in insane costumes (I was a Viking with a saxophone) and there is a big parade with massive floats. 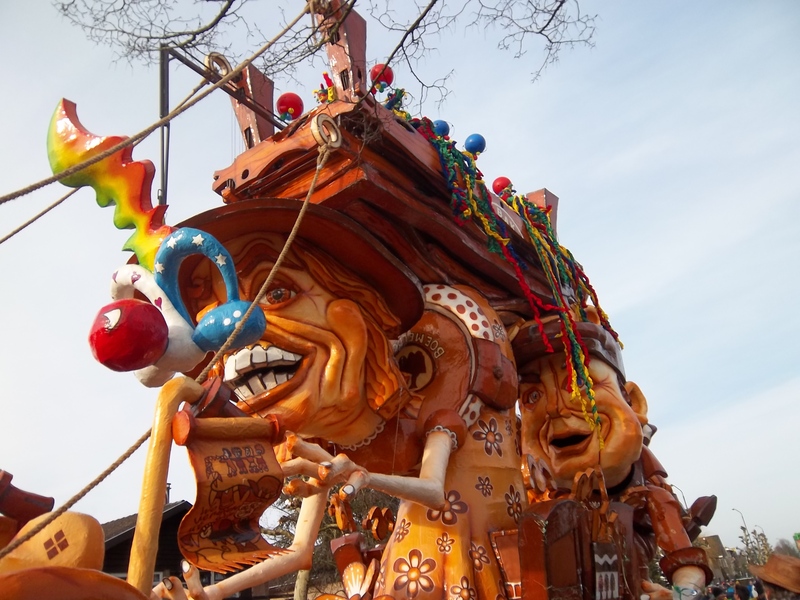 My photos do not do justice to the size of these floats. Some seemed to be three stories high and they all had moving parts and blasted “foutmuziek” so my eardrums nearly burst. I awe at the amount of planning and dedication that had to go into these things. 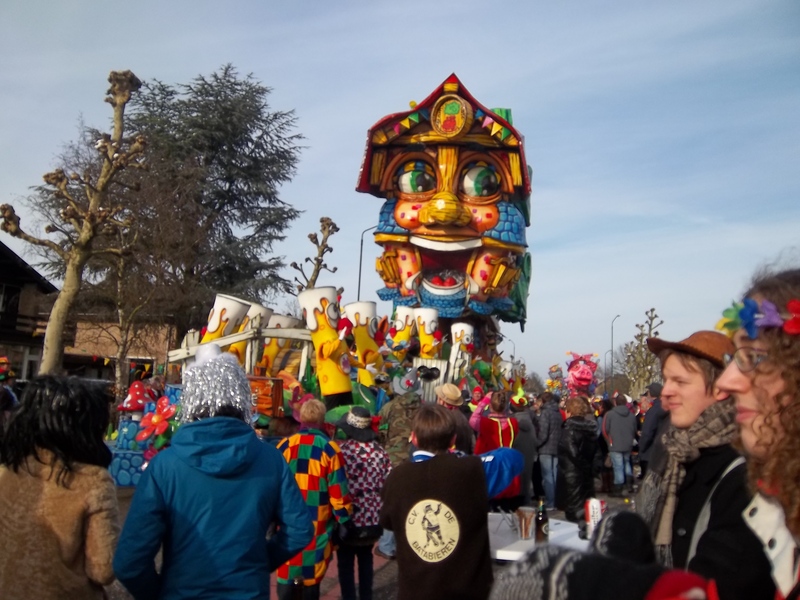 The towns where I went get new names specially for Carnaval season, for instance Prinsenbeek, a small town near Breda, is known as “Boemeldonck”. 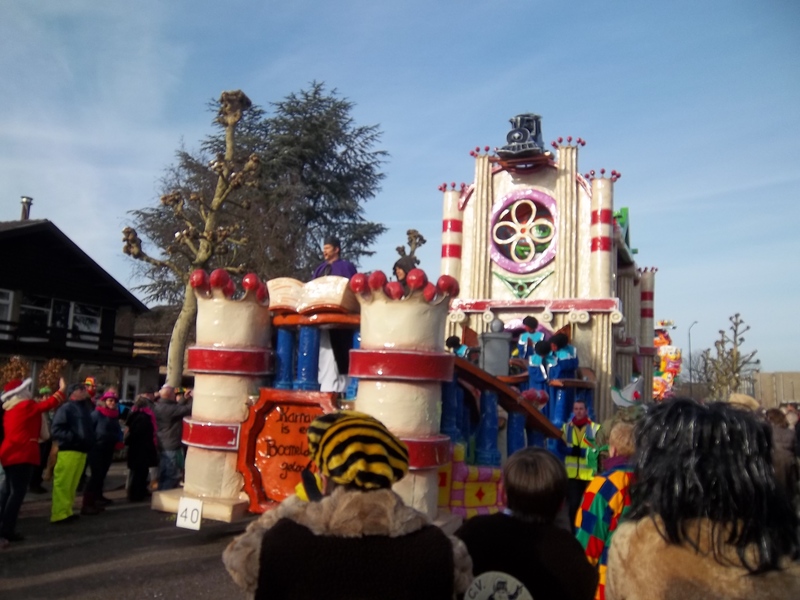 The best parade is in Prinsenbeek rather than the larger city of Breda. Carnaval is a festival for country folk. As with any festival, alcohol is paramount. Many of the floats were beer-themed. (Others were lewd. Some bordered on improper – for instance making fun of the church. They were all quite fun, and I do not think there was any ill intent). Many of course use the festival as an opportunity to drink more than anything else. 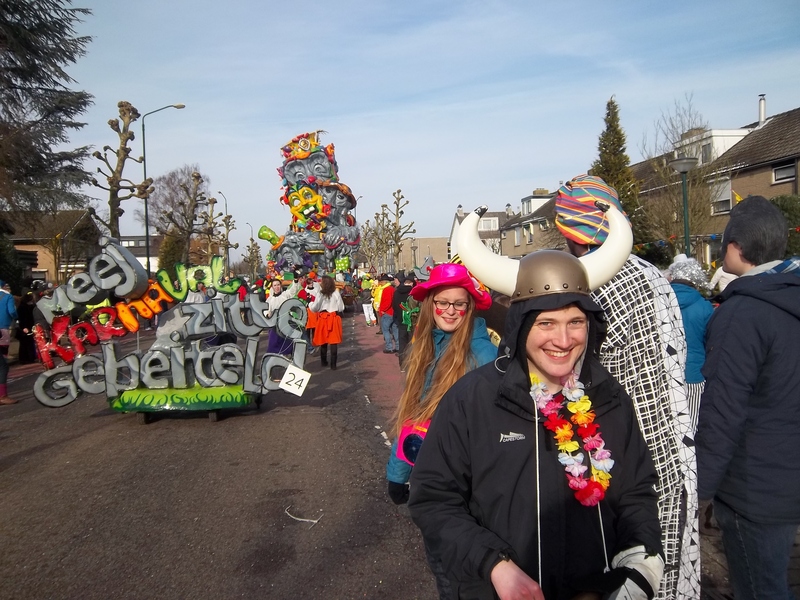 I missed this part of Carnaval (by choice) and I instead have the memory of a fun time with some crazily dressed Dutchies. While having fun and walking through town I did notice the remnants of the religion that this festival came out of: A Catholic church and some posters advertising the love of Jesus. Wouldn’t it be awesome if people could celebrate with love of God and with love for each other? The latter I experienced first-hand. I am most grateful for the residents of Breda and Prinsenbeek who hosted me – they were most gracious and loving. I hope that the love of God will return in time. I also hope that Carnaval retains its risqué yet fun-loving quality. It seems more sincere that way.